Below you can view all the homes for sale in the Green Valley Heights subdivision located in Henderson Nevada. Listings in Green Valley Heights are updated daily from data we receive from the Las Vegas multiple listing service. To learn more about any of these homes or to receive custom notifications when a new property is listed for sale in Green Valley Heights, give us a call at 702-323-5903. Great Location, Just Minutes From Green Valley Ranch And The District. MLS#2085999. Vibrant Realty. Master suite has a walk-in closet, sitting room, double sink vanity & soaking tub. Lrg private backyard,Like new ! MLS#2081595. Simply Vegas. Close to Schools and Shopping in the Heart of Henderson. MLS#2085455. Keller Williams Market Place. Step down into your family room with fireplace and wet bar. Great potential! MLS#2085466. Las Vegas Realty Group. 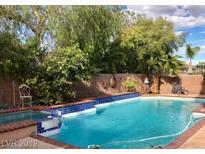 Private backyard nicely landscaped with synthetic grass & covered patio. MLS#2081373. Luxury Homes of Las Vegas. Spacious Kitchen With Granite Counters, Large Master With Double Sinks And Large Walk-in Closet. MLS#2076250. Century 21 Americana. Buyer and agent to verify all schools, measurements, and information. MLS#2068504. Prominent Realty Group LLC. Beautiful master bath with marble counters/showers and glass vessel sinks. Lush, relaxing backyard with pool. MLS#2028067. BHHS Nevada Properties.